Thank you for considering Con Murphy’s for your next event! We will do everything we can to ensure your event is a success. 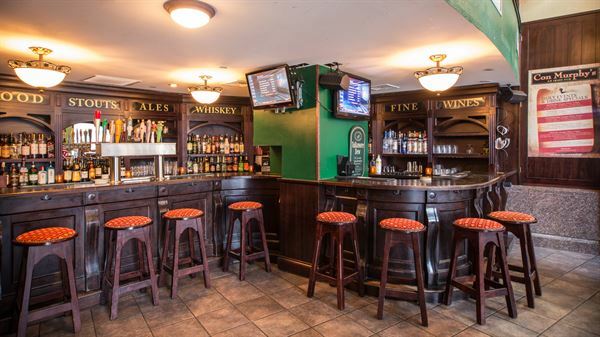 Conveniently located in Center City, Con Murphy’s is the ideal venue to host your special event. Whether you are having a large family gathering, corporate event, business meeting or an intimate reunion, Con Murphy’s can accommodate all of your celebratory needs. We provide the perfect combination of food, service and atmosphere for all of life’s special events. Our goal is to ensure that everything goes without a hitch. We want you to be able to sit back and enjoy your event as much as your guests! Con Murphy’s can accommodate many party sizes from a small dinner party or happy hour to a cocktail reception of up to 100 guests with a private bar. We provide a relaxed and welcoming atmospehere for rehearsal dinners, pre wedding welcome drinks as well as birthday and anniversary parties. Whatever life event you are celebrating, we will make it special! Please see attached PDF for pricing information.